Reports, import/export tools and bulk updaters simplify admin and make site maintenance easy. Enhance your ecommerce usability with advanced search, product filtering, menus and image features. Search engine optimization (SEO) add-ons, coupon management, cross selling, e-newsletters and more. Connect with customers on popular social networking platforms right from your ecommerce control panel. Integrate and administer popular third-party systems with ease and offer added functionality for customers. You choose the Add-ons and/or Modifications that best fit your business's needs. No limit to how often or how many Add-ons and Modifications you choose, the discount is always available to you. Sign up to get email notifications of new products and updates: SIGN UP NOW! HAPPY NEW YEAR!!! Enjoy the start of 2019 with 20% off!!! 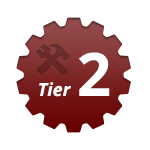 Please note we are working hard on converting all our plugins to v10. Please contact us to request priority conversion if you don't see your plugin as v10 ready. Only those with v10 versions are v10 ready! Thank You for shopping at eCommerceCartMods.com for you AspDotNetStorefront add-ons!